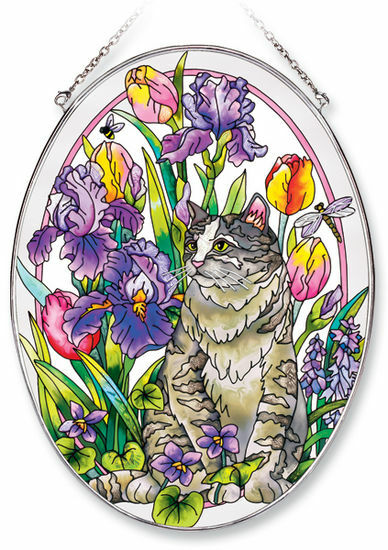 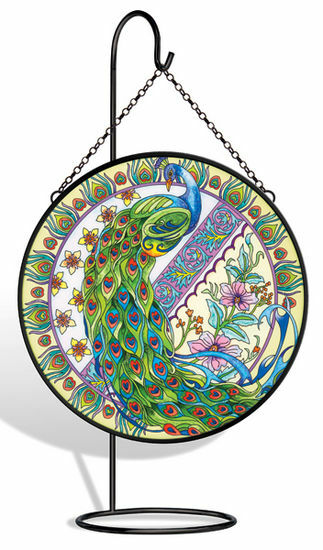 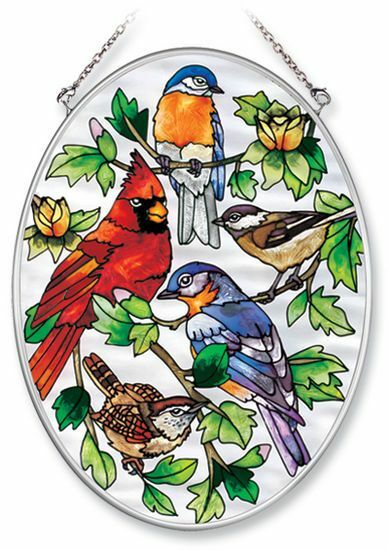 What is more beautiful than the light reflecting through a hand painted stained glass suncatcher on a sunny day? 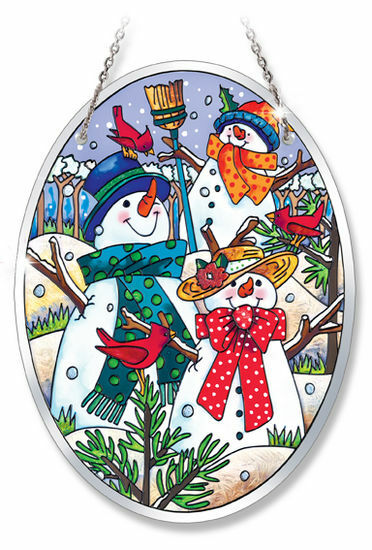 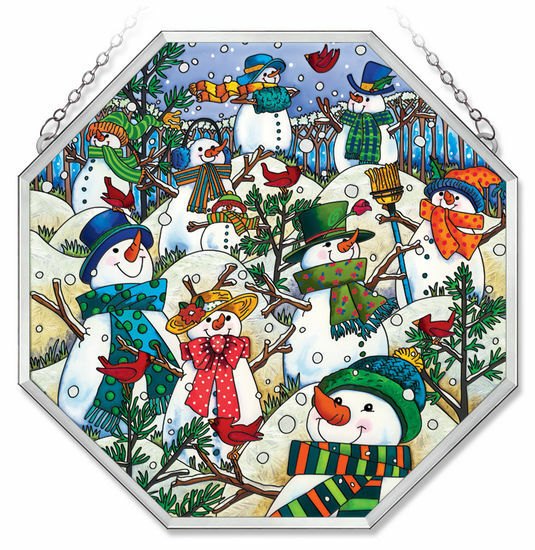 Christmas Tree Hill specializes in window decorations including window art suncatchers for your many different window sizes. 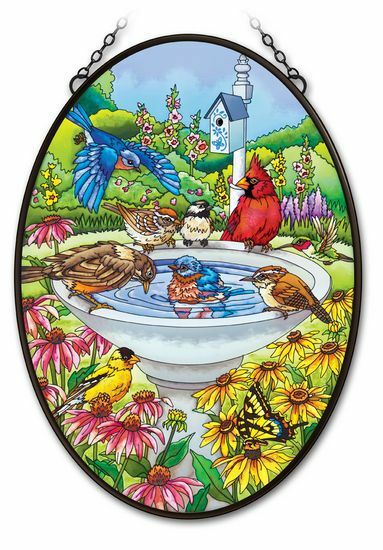 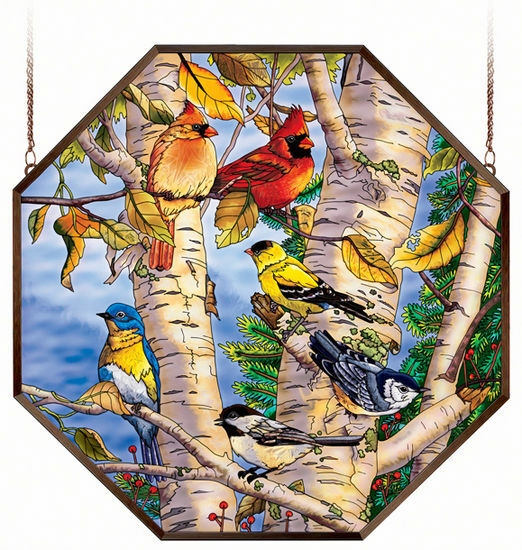 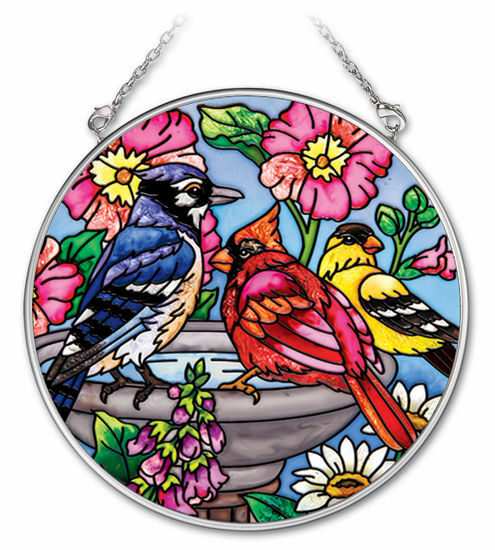 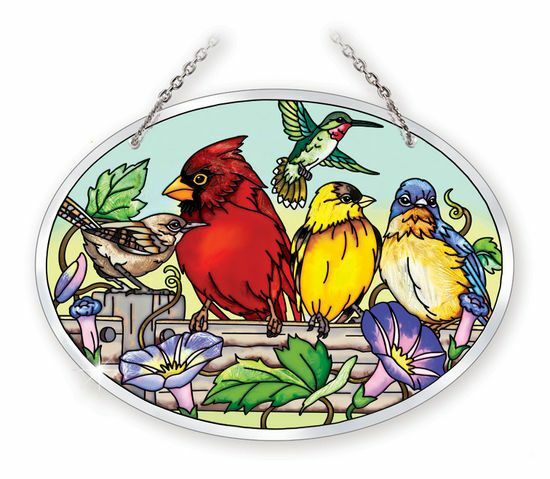 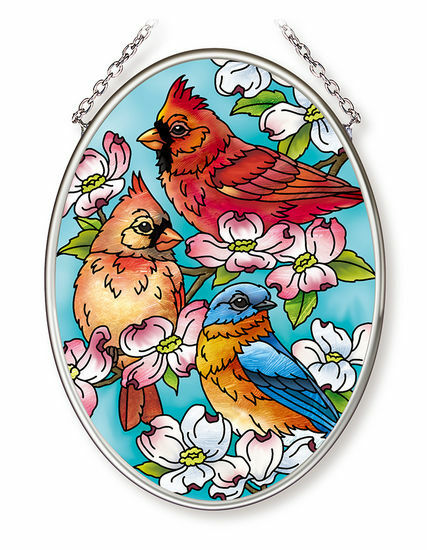 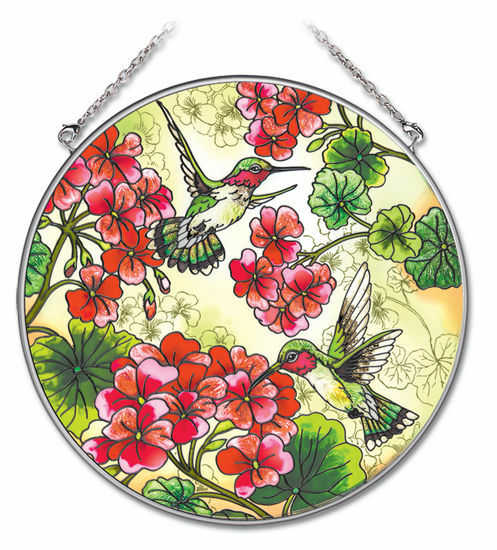 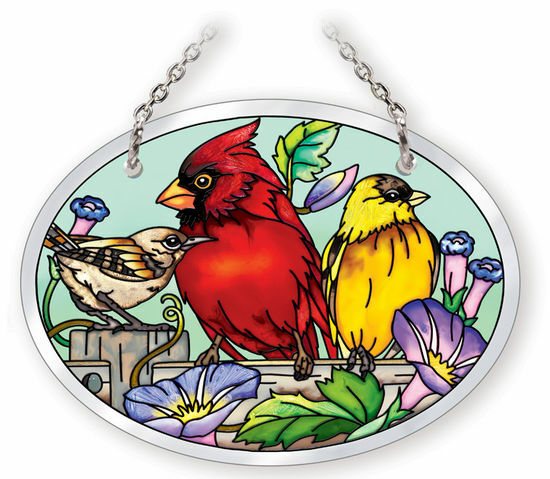 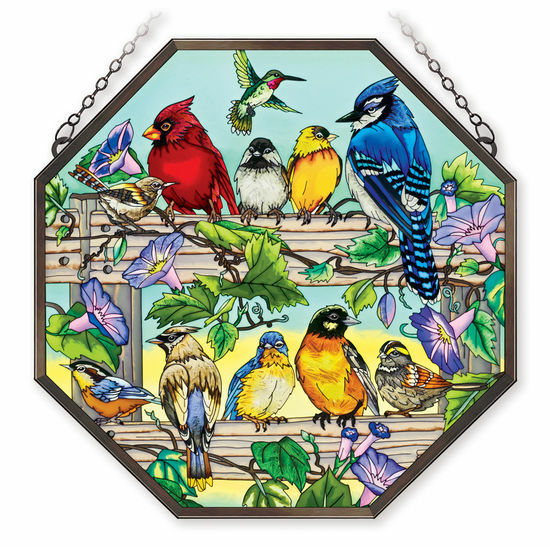 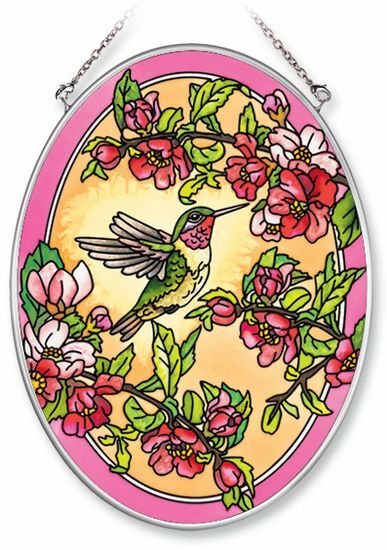 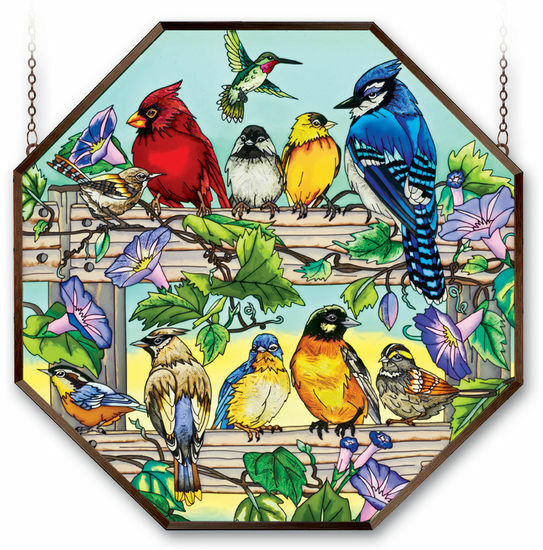 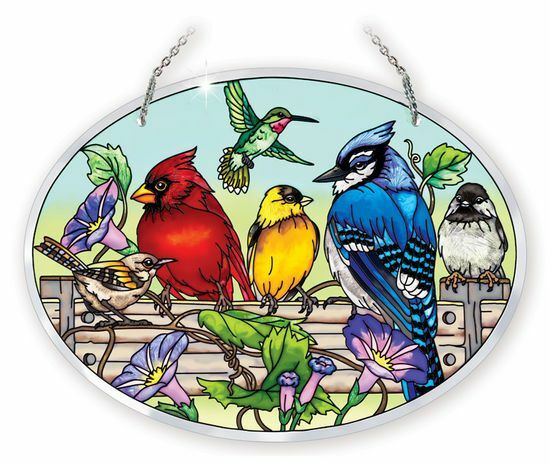 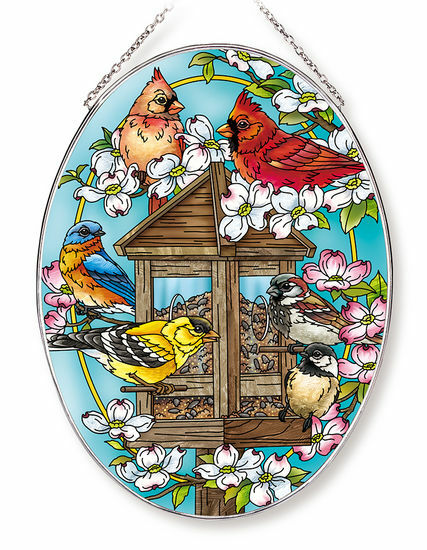 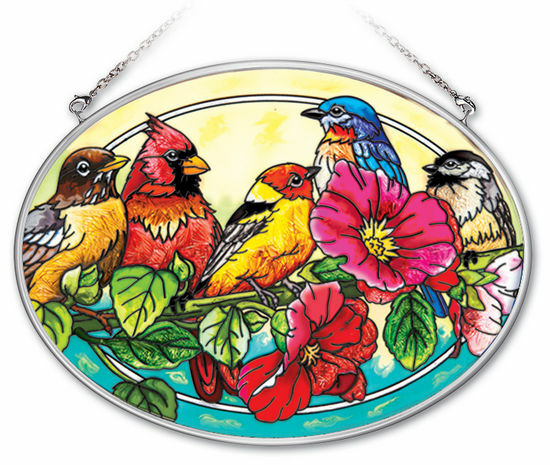 The most popular suncatcher themes include song birds such as cardinals, yellow finch, bluebirds, and more. 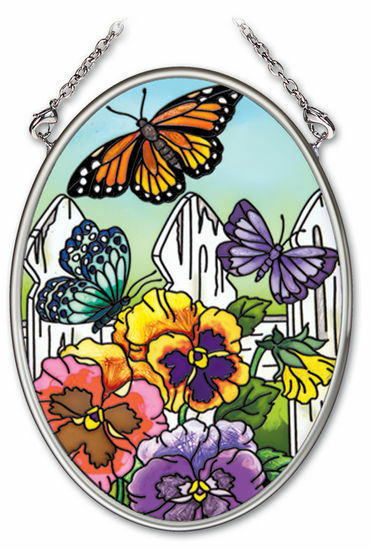 Butterfly suncatchers including everyone's favorite, the Monarch butterfly. 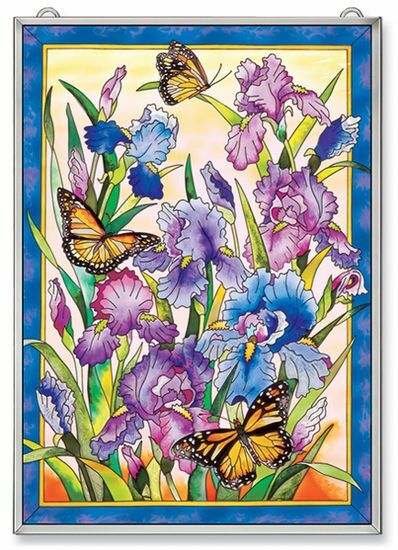 Irises, Geranium, Dogwood flowers as well as birch bark branches provide the natural canvas for the birds, hummingbirds, butterflies, and even cats. 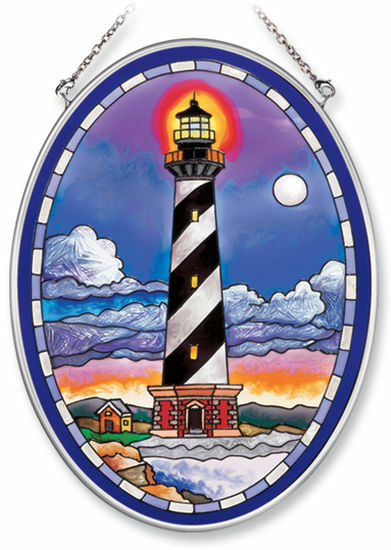 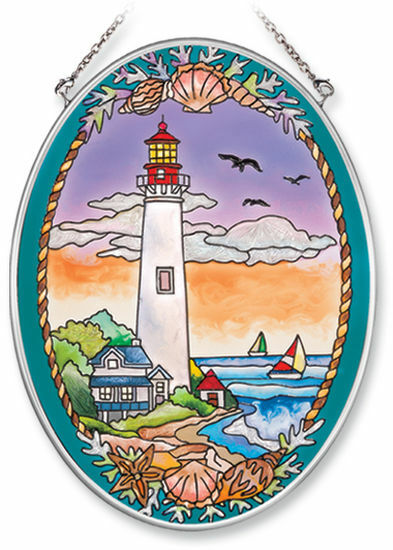 We have several lighthouse suncatchers such as the Cape Hatteras Light and the Cape May Light. 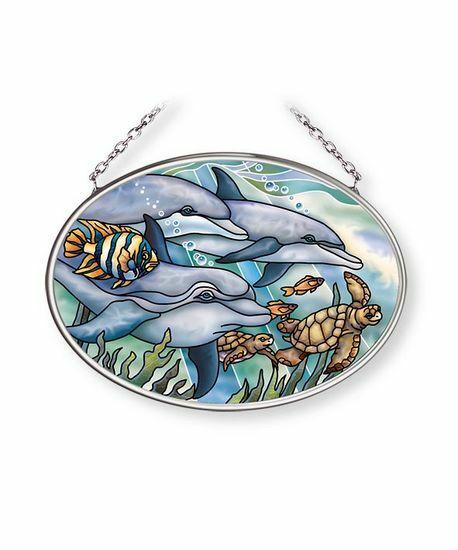 New animal themes are the Horses in the Meadow, the Cow with Daisies, and Dolphins and Sea Turtles flowing through the current. 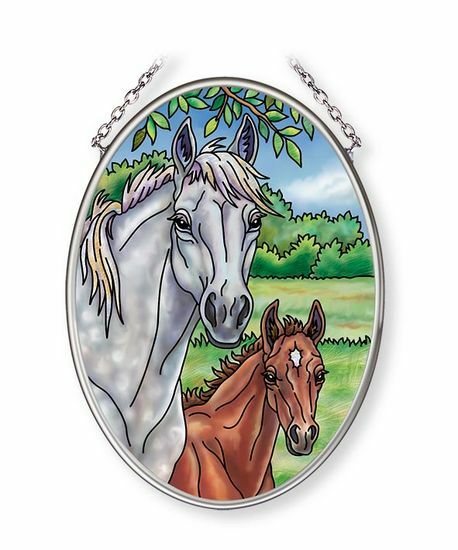 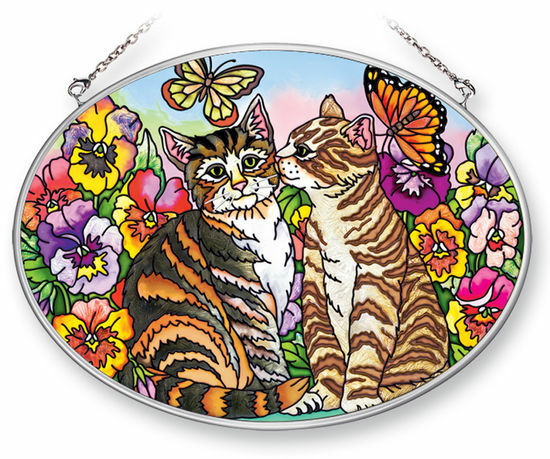 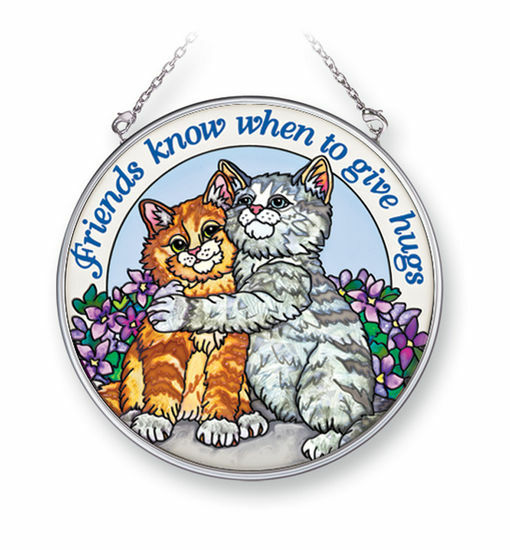 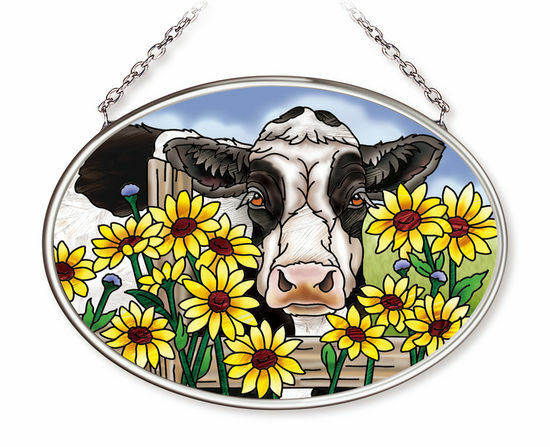 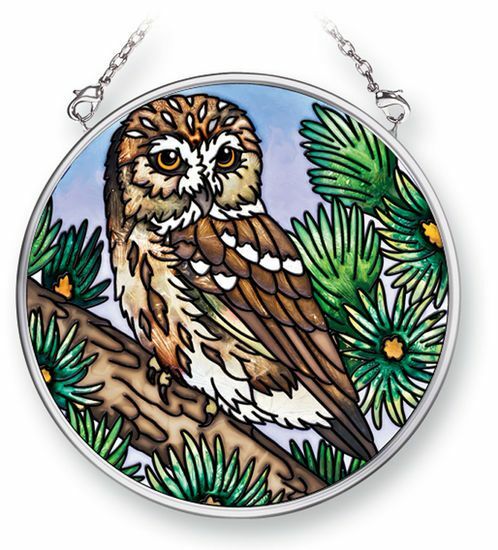 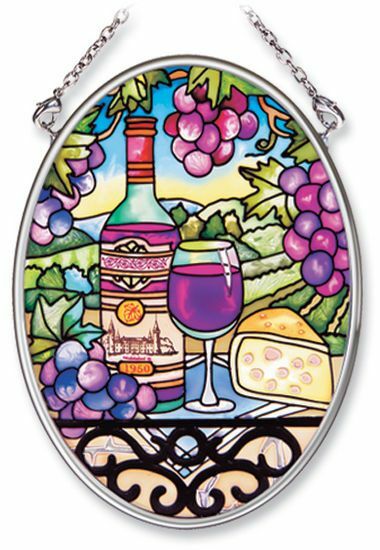 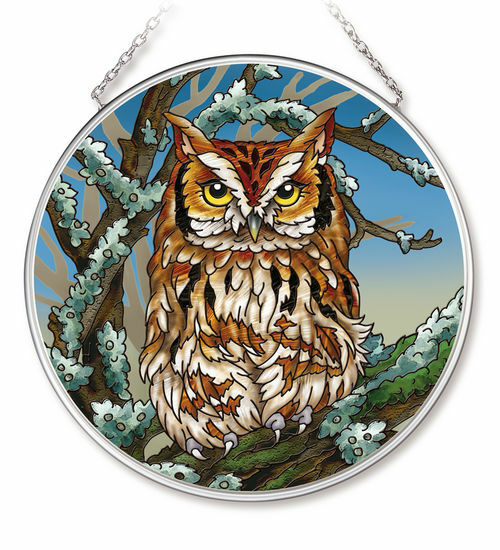 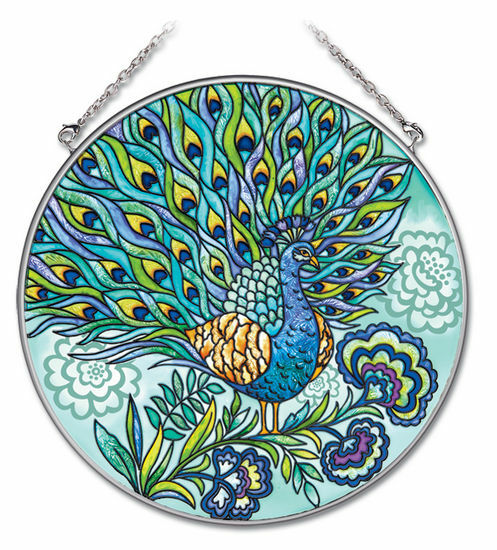 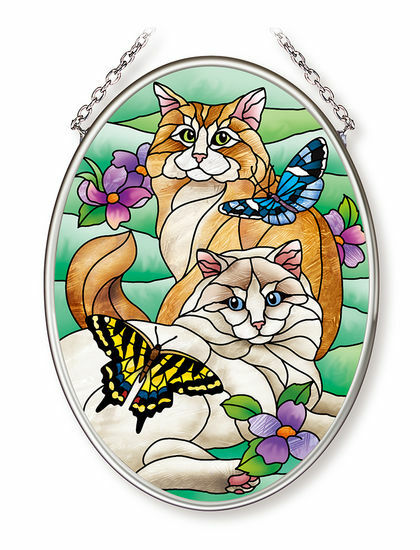 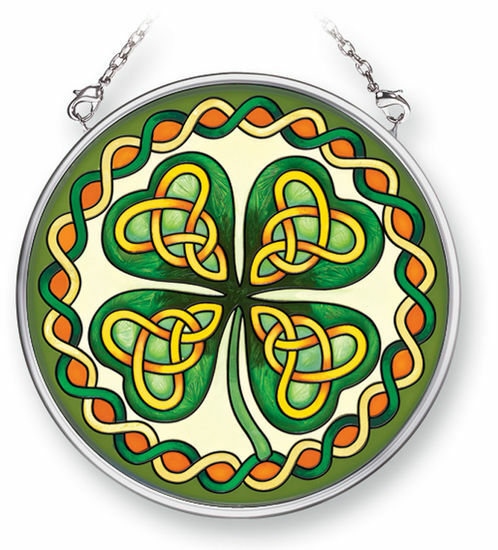 All our suncatchers come with a sturdy metal frame and a removeable chain. 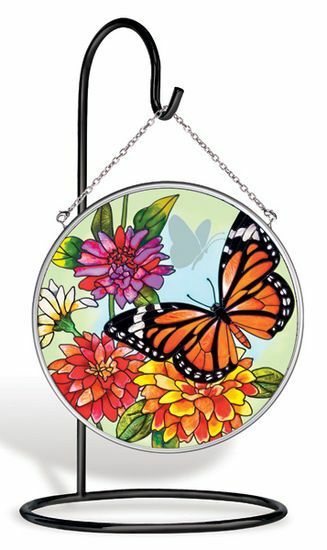 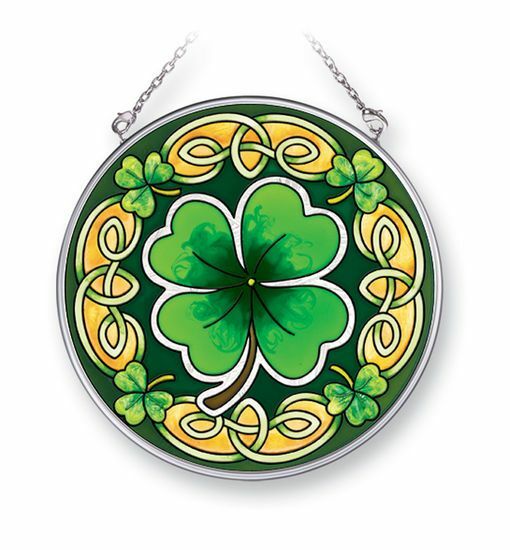 Display yours free-standing on a metal stand or use the chain to hang from a window. 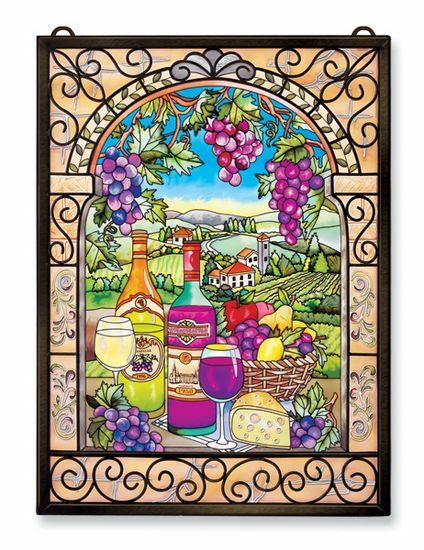 Shop today for the best selection as quantities are limited.